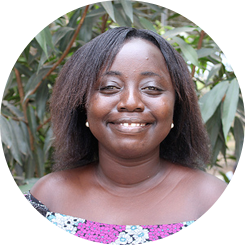 Doris joined the organization in October 2011 as the Programs Coordinator, after volunteering with ABAN for several months. She met the founders while a student at the University of Ghana. After 5 years, she was promoted to Ghana Country Director. Her hard work, dedication, and passion in serving ABAN and its community has been recognized by several awards. She is now an alumnus of the Ford Motor Company Fellowship and the Mandela Washington Fellowship (Young African Leaders initiative), which distinguished her from many of her other colleagues in similar fields. Doris now leads ABAN as its executive director. Gabriel officially joined the organization in 2014. 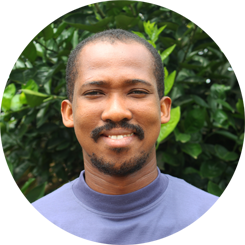 With his masters in psychology, many years of work experience in human relations, and his passion for ABAN’s beneficiaries, Gaby brought the necessary experience that saw the organization through a major transition in leadership. Gaby now serves on the ABAN board and is instrumental in shaping ABAN’s program strategy. Inez volunteered for ABAN while studying psychology at the University of Essex. 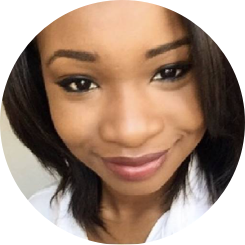 While at university, she created the She Inspires project that partnered with ABAN to help the graduates develop sustainable businesses with the skills they learn in ABAN programs. Since graduating Inez jointed the team as the part-time Volunteer Program Coordinator and helps with marketing and sales.